Salesforce has revamped its Wave Analytics Cloud to embed insights directly into CRM, but the real winner for customers will be a bevy of new, pre-built sales, service and third-party analytic apps. 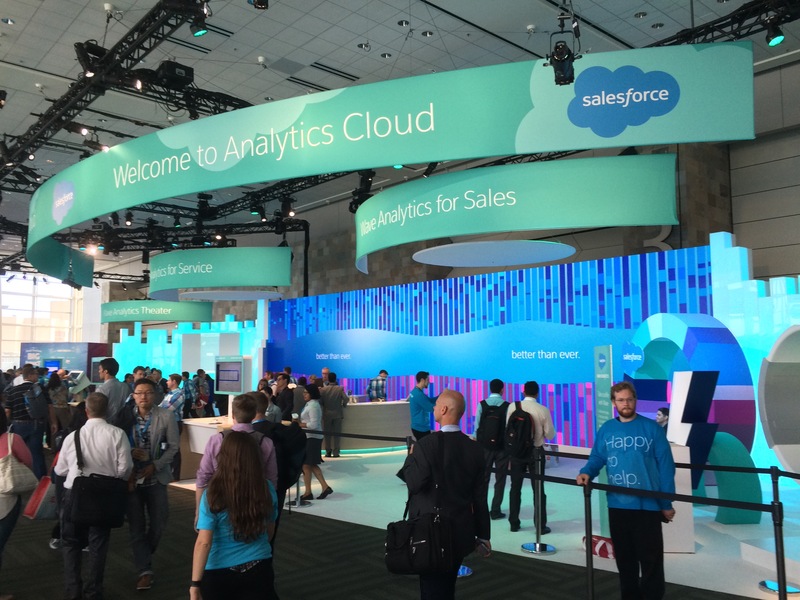 If you held off on implementing the Salesforce Wave Analytics Cloud, introduced at Dreamforce 2014, pat yourself on the back for waiting. The second release of Wave, introduced here at Dreamforce 2015, will give you better capabilities and better integration with sales and service apps at what promises to be a lower cost. Last year Salesforce hailed Wave as it’s most successful new product launch ever. But there’s been recent turnover in Wave executive leadership, and honchos now admit to having “learned a few lessons” over the past year. Early on, for example, customers complained that Wave was too expensive, so the company dropped steep platform setup fees in favor of per-user, per-month pricing that’s currently set at $125 for “Explorer” users and $250 for “Builder” users. But even these costs were prohibitive to many, so the big Wave news here at Dreamforce 2015 is the pending (mid October) release of the Sales Wave Analytics App. The company is still hasn’t detailed pricing, but the word on the street is that this pre-built app will be around $85 per user, per month and will give sales executives and teams the most sought-after sales insights. This app will be followed early next year by a Service Wave Analytics App at a similarly competitive price point. Recognizing that many customers don’t want to have to build analytic apps, Salesforce is also touting here at Dreamforce more than a dozen third-party apps now in pilot release. Apttus, for example, has a Quote-to-Cash Intelligence App designed to give sales teams actionable insights into customers to improve the odds of winning contracts and meeting revenue targets. And FinancialForce is offering a ERP Wave App that gives users insight into financial and supply chain data so they can optimize business performance. Salesforce has also improved Wave integration within applications and the extended platform. New Wave Actions, for example, will enable users to update accounts, assign tasks, create service cases and take other actions directly from any Wave Analytics Dashboard. Furthermore, new Wave Embedded Dashboards let you serve up insights and historical analysis directly in the context of any Salesforce record or object, so users won’t have to toggle between applications and a separate analytical environment. News Analysis: Inside Salesforce Wave Analytics from Constellation Research on Vimeo. Finally, to give all Salesforce customers exposure to Wave, Salesforce will soon release Lightning Reports & Dashboards for the Sales Cloud and Wave Visualization capabilities that will be exposed across the entire platform. Now in preview, Lighting Reports & Dashboards for Sales Cloud replace much more basic reporting and dashboarding capabilities previously available within that app. The new and improved functionality will released in October at no additional cost to Sales Cloud users. Behind the scenes are new Wave Visualization capabilities said to provide a diverse charting library and the ability to intuitively filter and modify visualizations on the fly. The Salesforce press release highlighted the news about Wave Actions, Wave Embedded Dashboards and Wave Visualizations, but these embedded capabilities are really table stakes for a next-generation applications. It’s old news that users don’t want to have to toggle between transactional and analytical apps, particularly if they’re getting both capabilities from the same vendor. Only Salesforce can blend these two worlds directly, so it has to take this step to differentiate its services. For my money (and, more importantly, the customer’s money), the real news with Wave Analytics Cloud, take two, is the imminent availability of ready-made sales, service and third-party analytic apps that should lower the cost of Wave entry. Given that these apps were announced this summer, I’m a little disappointed that we’re still a month away from general availability and pricing details. Some customers will still want to use the general-purpose Wave Analytics analytics platform, which can be used to build any type of analytical application. But I expect the pre-built sales and service apps to bring the vast majority of Salesforce customers and users the insights they most need. The exact cost per-user, per app and the availability of bundling or multi-app discounts will make or break this second breaking of the Wave Analytics Cloud, so stay tuned for those announcements in October.